Thanks to you guys, the Kickstarter was a success! 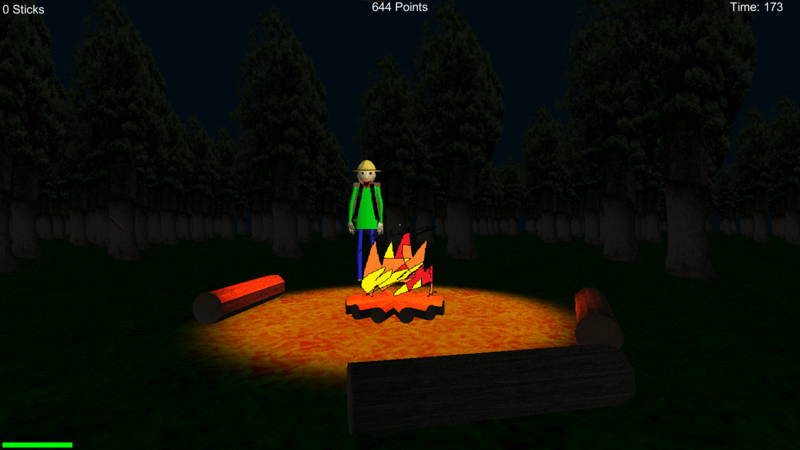 Go camping with Baldi in this new demo! 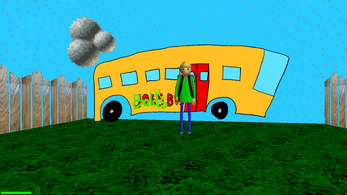 I'm doing a Kickstarter to create a full version of Baldi's Basics, and one of the new features in the game will be field trips! Side-quests that not only change up the pace, but also offer a chance at winning some great items and even permanent buffs! 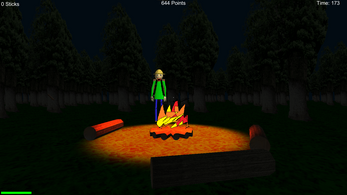 In this field trip, you go camping with Baldi. Your goal is to keep the fire alive for three minutes. You can play it safe by throwing small amounts of firewood onto the fire, or you can take a riskier strategy by trying to gather a lot of pieces of firewood and throw them in all at once. Extra fuel gets converted into big points! 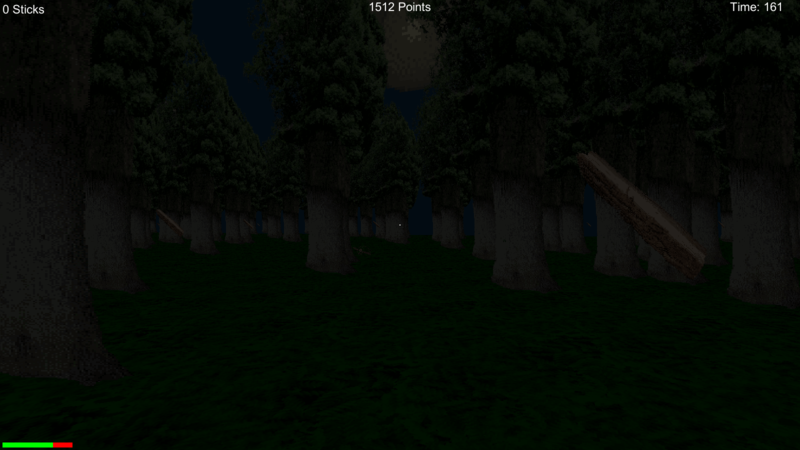 Of course, in the full game, higher scores will get you better rewards! Use the WASD keys to move, and the mouse to turn. Left click to pick up firewood and fuel the fire. Hold down shift to run (Keep an eye on your stamina bar! 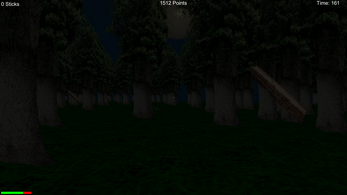 ), and press space bar to quickly look behind you. Escape can be used to pause, and can be held for about a second to quit at any time. Due to the amount of spam that's been getting posted in the comments section, I've disabled them for a bit. If you have something you'd like to tell me, feel free to contact me on Twitter @mystman12! Download the.zip folder and locate it on your PC. Right click on it and select "Extract All." This will extract all the game files into a folder on your PC. Activate the executable and enjoy!